TechWareLabs takes a closer look at solid state cache disks, you can check it out over here. For those users that want their cake and eat it too, how do we leverage the speed of SSD drives with the raw storage capacity of traditional spinning drives? 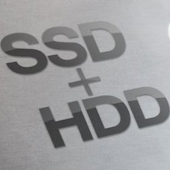 The answer, SSD caching. Originally only available on higher end enterprise class storage, such as Adaptec’s maxCache or LSI’s CacheCade, this technology is beginning to show up in the consumer market. Essentially this allows a user to configure one (or more) SSD drives to be used for read or write cache for frequently accessed data residing on slower spinning HDD media. This frequently accessed data sitting on spinning HDD media will be served by the faster SSD drives, and the end result is SSD “like” performance with the raw capacity of traditional HDD media.